Drew Hopper is a travel, documentary and editorial photographer, when he isn’t travelling he calls Australia home. Captivated by the diversity of cultures, people and environment, Drew ventures far and wide to capture pictures that define his experiences with the vision that they will impact and inspire an audience in a way individual to each viewer. Drew is a regular contributor to Australian Geographic, covering assignments throughout Australia. 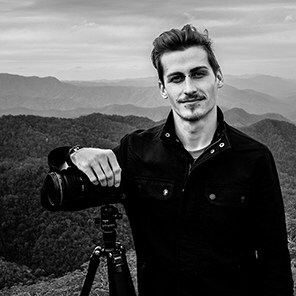 He also regularly contributes to Australian Photography magazine writing photo articles and judges monthly contests, and has work featured in numerous travel, photography and lifestyle magazines worldwide. Capturing compelling images has always been my driving force. For me, photography has always been about the visual message that a photograph can portray, whether it’s simply an abstract composition or a strong narrative, a photograph is always a piece to a bigger and more in depth truth. Over the years I have found various pieces that fit together to create something hypnotic. Each photograph is an interpretation of my minds eye; whether staged or candid, there is an instinctual thought-process that I have developed over years of practice and patience. Over the years I’ve learnt the importance of trusting my instincts as a photographer. When I photograph, I trust my instincts as much as possible. Like all great relationships there must be a level of trust. Without it there is no reward. Check out Drew’s work in his website, Facebook page and Instagram. Drew is running the 3-day photo workshop in May and the India photography tour in December.